"...the main goal is to try and figure out how best to musically support the narrative... There are so many cinematic moments in this game that just call for sweeping melodic treatment, but on the other end of the spectrum, you’ll hear plenty of ambient music to support whenever Lara needs to move with extreme care and caution... Composing the music for this game has been a dream job, and I’m looking forward to the fans playing it and experiencing the score." MoTR also had the pleasure of conducting a pre-release interview with Tahouri at the end of October, including community input, which we are able to publish today. The composer boasts numerous production credits on television and film work such as Game of Thrones and Iron Man. 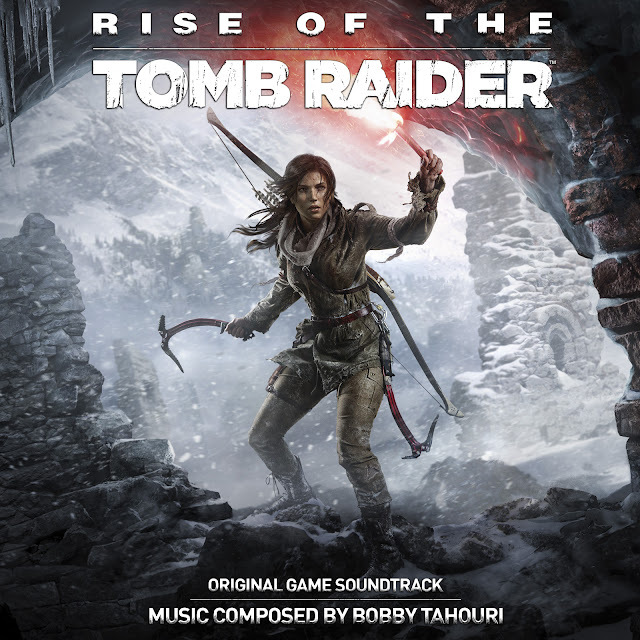 Tahouri takes over from established Tomb Raider (2013) composer Jason Graves - the Rise of the Tomb Raider soundtrack utilises "Lara's Theme" by Graves to maintain musical continuity for the rebooted franchise. While the soundtrack is a fixed representation, the game itself will feature procedurally generated music (effectively providing a dynamic soundtrack to each play-through), which Tahouri has elaborated on in our interview. Karen O of the Yeah Yeah Yeah's was tasked with writing and performing an original song for Rise of the Tomb Raider, "I Shall Rise", which is too available from all good digital music retailers. Rise of the Tomb Raider releases November 10th on Xbox One and Xbox 360. 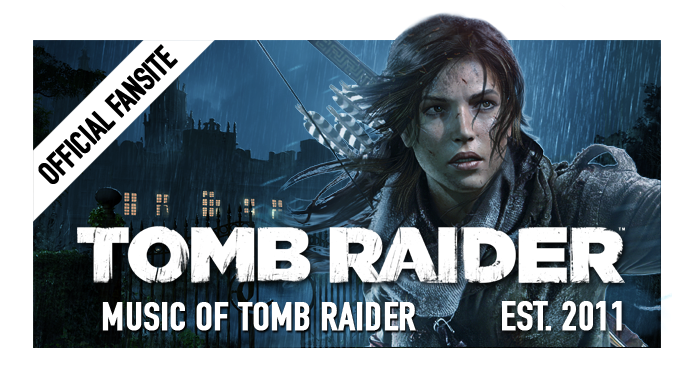 Full PR via the official Tomb Raider blog. The complete interview and production credits are available after the jump below! "Crystal Dynamics is thrilled to announce a special treat for fans. The official Rise of the Tomb Raider soundtrack – composed by the renowned Bobby Tahouri – is available in full for free today. Featuring epic, high-octane action moments set in the most beautiful hostile environments on earth, Rise of the Tomb Raider delivers a cinematic survival action adventure where you will join Lara Croft on her first great tomb raiding expedition as she seeks to discover the secret of immortality. Music of Tomb Raider: Hello Bobby and thank you for agreeing to this interview! We've culminated many queries from the very excited Tomb Raider community all together in one questionnaire. Let's get things started! Please give us a recent history of your compositional projects prior to Rise of the Tomb Raider. Xbox Wire boasted your "all-star" work on Game of Thrones, Iron Man & Despicable Me 2 in your reveal... how different has working on ROTTR been when compared to composing for TV and film? Bobby Tahouri: Prior to Rise of the Tomb Raider, I had been composing across a wide variety of genres within the Film, TV, and Video Game world. The most recent high profile projects were as additional composer on Game of Thrones & Despicable Me 2, but I’ve also been staying busy composing for various indie comedies and horror films. I had also just completed the scores for two mobile games for JuiceBox Games called HonorBound and StormBorn, and I’m currently composing music for an animated TV series on Nickelodeon called Shimmer and Shine. I’m grateful that I’ve been able to work on projects that are so stylistically different from one another. I don’t treat writing music for video games any differently than when I’m composing for TV or film. No matter what type of project I’m working on, the main goal is to try and figure out how best to musically support the narrative. That being said, the main difference is that with games, you’re usually given much more time to compose, which is always a nice thing. MoTR: Please let our readers know who your favourite composers are? (Both classical and/or contemporary). What was the last soundtrack you listened to? What artists or performers consistently influence your work in general? BT: My list is huge, but I would say Bach, Brahms, Mahler, and Shostakovich are up there in the classical world. Contemporary composers I admire are John Adams, John Corigliano, Steve Reich, Ennio Morricone, among many others. The last soundtrack I listened to was The Martian by Harry Gregson-Williams. Great score. There are so many artists that infuence my work, my list could go on and on, but at the top of the list is without a doubt, Ennio Morricone. I would also include Jerry Goldsmith, The Beatles, and Depeche Mode as huge influences on my work as well. MoTR: Are you trained in playing any instrument(s) and if so, which are your favourite to play? Which is your favourite instrument to write music for? BT: Yes, I’m a classically trained pianist, but I also really enjoy playing drums/percussion and basically getting my hands on any instrument or object that makes noise. My favourite instrument to write for would have to be the piano, but I have to say that the cello, along with the oboe and english horn are high on that list as well. MoTR: You said "it's been an honour working on such a storied franchise". How did you land the Rise of the Tomb Raider gig with Crystal Dynamics and how far into the production of ROTTR were you hired as composer? Was it intimidating taking on a AAA project like Tomb Raider as lead composer, especially following in the footsteps of the BAFTA-winning Jason Graves? BT: I began speaking with Crystal Dynamics in 2012 through a friend in the game audio industry, and was asked to send some of my musical demos. When it was time to pick a composer for ROTTR, I was pleasantly surprised when Crystal asked me to write a demo. They thankfully liked what they heard, and I was hired in late 2013. I wasn’t really intimidated when I was hired, mostly because I felt that I was ready to take on a AAA project like this one. But yes, following in the footsteps of Jason Graves is definitely an honour, especially since I’m a fan and loved what he did on the reboot. 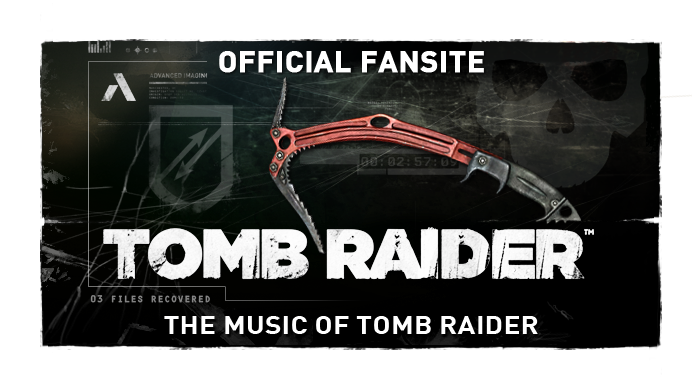 MoTR: Are you familiar with the music to previous entries in the Tomb Raider series? If so, which is your favourite? Did previous Tomb Raider soundtracks influence ROTTR's score at all? BT: Yes, I spent some time listening to the music for the previous games, just so I could really immerse myself in the Tomb Raider world, but it’s really hard for me to pick a favourite because all of the games have great scores. I didn’t let my familiarity with the previous soundtracks influence the direction of ROTTR, as I tried to use my own aesthetic for the score. MoTR: Were real instruments used in the ROTTR recordings or is it mainly software instrumentation? How long did it take you to complete the score? BT: Yes, you’ll hear a wide variety of live instruments in the score. We were fortunate to record a 52 piece orchestra (strings and brass) in Nashville. Along with the live orchestra, I recorded solo cello, various orchestral and ethnic woodwinds, dulcimer (and other random plucked instruments), a wide variety of percussion, including a custom built handpan (made by Saraz Musical Instruments), bells, bowed metal, and low male vocals. Because there’s so much music in the game, there were sections that had to rely on software instrumentation, but I always made sure to layer at least one live instrument on top of samples. I also had a lot of fun electronically manipulating many acoustic instruments, subtly tweaking familiar sounds. It took me the better part of two years to complete the score. MoTR: Would you describe Rise of the Tomb Raider's score as cinematic, ambient or a bit of both? Did you have any particular inspiration behind the overall feel for the soundtrack? Have you incorporated Siberian or Syrian instrumentation to influence the music environmentally? BT: The score is a good combination of both actually. There are so many cinematic moments in this game that just call for sweeping melodic treatment, but on the other end of the spectrum, you’ll hear plenty of ambient music to support whenever Lara needs to move with extreme care and caution. The Crystal Dynamics team created the most stunning visuals, and I would often catch myself sitting in my studio, replaying scenes over and over again. The game seriously looks amazing, and I tried to mirror the look and feel with my music. Regarding instrumentation, the main focus of the score is to highlight Lara’s emotional journey and her perspective. That being said, I definintely incorporated location-specific instruments wherever appropriate. For Siberia, you’ll hear a plucked instrument that is reminiscent of the Gusli, which is an ancient Russian instrument. I created that sound by sampling various dulcimers and guitars. I also recorded a male vocalist with a very low range, almost basso profundo, combined with overtone singing to give another ancient Russian texture. For Syria, I recorded a doumbek and oud, but I made sure to subtly layer those sounds into the mix. Again, I tried to focus on scoring from Lara’s point of view, and didn’t want the music to ever overtly announce the geographic location without first considering what’s going on in Lara’s head. 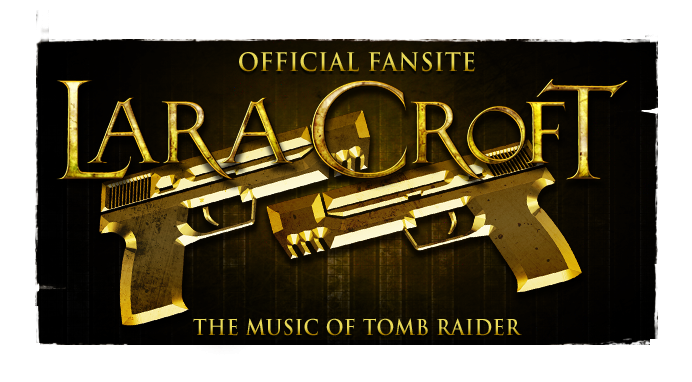 MoTR: Crystal Dynamics have confirmed your utilisation of the new "Lara's Theme" by Jason Graves in order to maintain musical continuity for the rebooted Tomb Raider series. Was this very restrictive, or a relief for you? Have you composed new thematic motifs for ROTTR? BT: Utilizing “Lara’s Theme” wasn’t restrictive at all, and I was more than happy to incorporate it into the score. There are new thematic motifs in this game as well. You’ll hear themes for Trinity, Kitezh, and without giving too much away, a few other new characters we meet along the way. I also wrote a Rise of the Tomb Raider theme that incorporates many of the thematic motifs you’ll hear in the game. MoTR: We loved the western Asian variant of Graves' "Lara's Theme" heard in promotional footage from the Syrian segment of the game - E #F B G F# E D# E - was that new and excellent little semitone dip following the core theme your creation? How much have you played with and expanded upon the material provided from Tomb Raider (2013)? BT: Yes that was. What’s great about Graves’ “Lara’s Theme” is that it’s very flexible, and since this game is darker in tone than the reboot, I was able to change a note or two, or add different harmonies to the theme without changing its essence. The only preexisting material I was working with from the reboot was “Lara’s Theme”. MoTR: Please elaborate on the procedural composition technology that will feature in the optional combat/stealth segments of ROTTR. How do you even begin to compose for something as dynamic as that? How does the system provide a different soundtrack each play-through? BT: The procedural composition technology is a new middleware called Dynamic Percussion System licensed by Intelligent Music Systems, LLC. I give my musical assets (midi and drum samples) to the middleware as input. The middleware then learns my compositional style using some very sophisticated music theory algorithms. Specifically, when the middleware analyzes the midi and sample data, it extracts a bunch of rules that are used to generate new music in real time. This analysis and the middleware’s designer tool allowed Sound Designer, Philip Lamperski and myself to derive and create many different musical states from the original composition. You will hear these musical states transitioning from one another according to the gameplay states of stealth/combat. So the music is actually being composed/generated in real-time according to the combat events/states. The system provides a different soundtrack with each play through because it reacts to how the player plays the combat. Even if the player stays in one state, the music will not loop! MoTR: Thank you very much for your time Bobby! We wish you all the best and, based on what we've heard so far, hope you're very keen to stay on board with the Tomb Raider franchise! BT: Thank you so much Harry! Composing the music for this game has been a dream job, and I’m looking forward to the fans playing it and experiencing the score. I also like the tomb rider music track. They have use really a unique music by using the latest technology equipment which add a quality to the voice.